Home » Promotions, Sweepstakes, Giveaways » Congratulations to our Clean Bandit Sweepstakes Winners! The cover of Clean Bandit's "What is Love?" Grace Chatto, Jack Patterson & Luke Patterson Return with a New Collection of Electro-Pop Tracks to Get You Dancing. When Clean Bandit formed in Cambridge in 2008, they never could have guessed they’d be sitting at the top of the UK charts just six years later. Coupled with a climb to the #9 spot on the Billboard Hot 100 with their track “Rockabye,” the band doesn’t show any signs of slowing down. Please be on the lookout for an email containing instructions on claiming your prize! 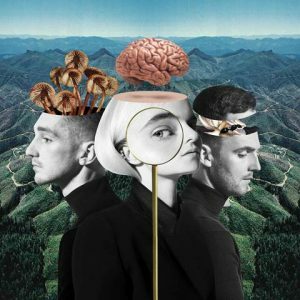 The follow-up to the band’s two million-selling and UK Top 3 debut album, ‘New Eyes’, released in 2014, ‘What Is Love?’ is a home to Clean Bandit’s inventive, eclectic multi-genre catalogue – a collection of gigantic, upbeat mega-bops married with emotive lyricism. A band that thrive on being true collaborators, Clean Bandit have enlisted another extensive cast of blockbuster vocalists this time around, with Zara Larsson, Marina, Luis Fonsi, Demi Lovato, Sean Paul, Anne-Marie, Ellie Goulding, KYLE, Big Boi, Tove Styrke, Stefflon Don, Craig David, Kirsten Joy, Rita Ora, Julia Michaels and ALMA all featuring. The deluxe edition will also feature Yasmin Green, Charli XCX, Bhad Bhabie, DaVido, Love Ssega and Louisa Johnson.